Ships today if you order in the next 4 hours 59 minutes. The body makes vitamin D3 when our skin is exposed to the sun's energy. With so many people staying out of the sun due to work arrangements or health concerns, a growing number of us are not getting the vitamin D that our bodies need. Vitamin D3 is necessary for things like bone health and immune system functioning. Deficiencies can lead to muscle issues and inadequate bone mineralization in children, and mineral loss and soft bones in adults. Since it is hard to make up the difference with food, vitamin D supplements can help. 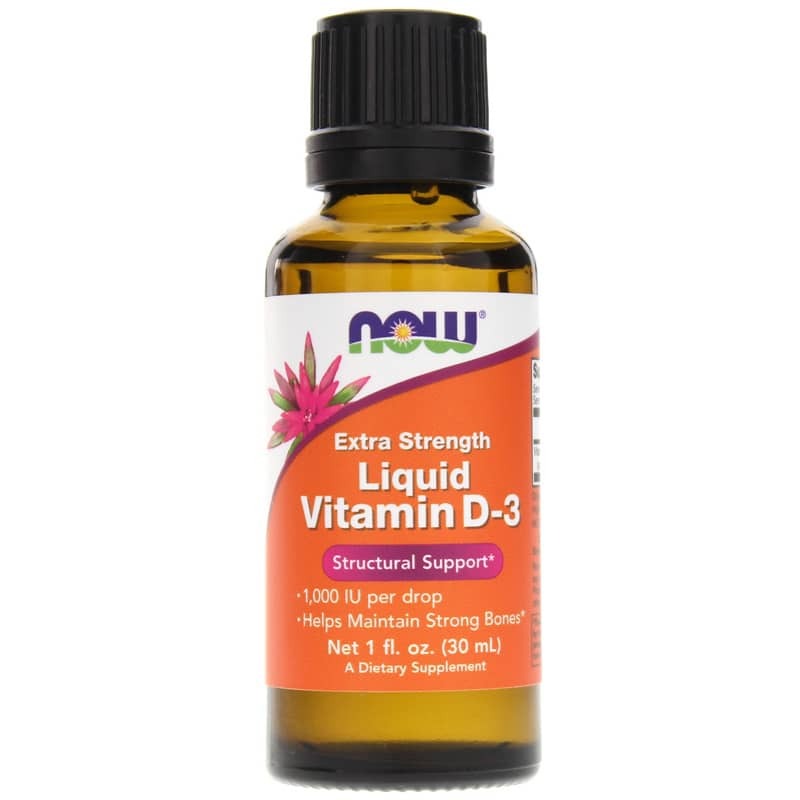 NOW Foods offers a natural supplement called Extra Strength Liquid Vitamin D-3 that provides structural support. Each one-drop serving contains 1,000 IU, or 250% of the recommended daily value, of vitamin D3. This supplement is not manufactured with gluten, wheat, milk, soy, egg, fish or shellfish ingredients. 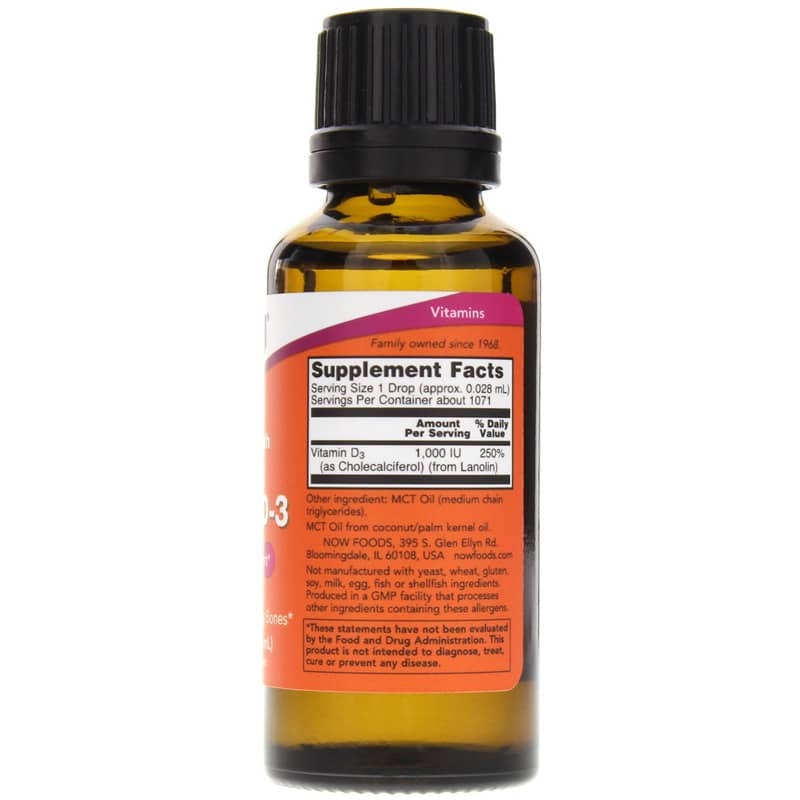 If you're looking for a natural supplement that offers structural support, check into NOW Foods' Extra Strength Liquid Vitamin D-3. Order online today! Not manufactured with: yeast, wheat, gluten, soy, milk, egg, fish or shellfish ingredients. Produced in a GMP facility that processes other ingredients containing these allergens. Adults: Shake well. 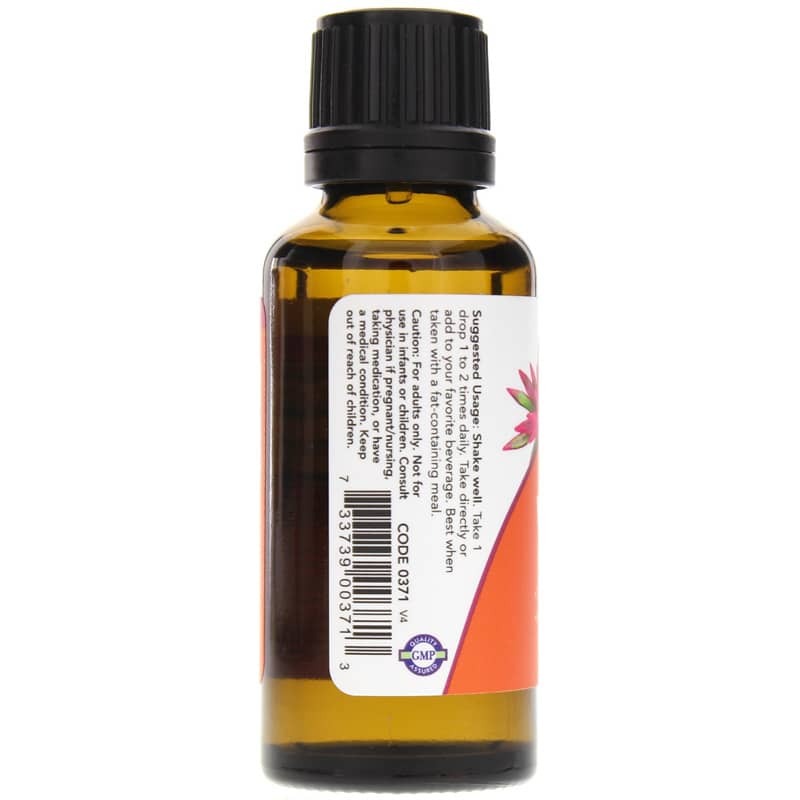 As a dietary supplement, take 1 drop 1 to 2 times daily. Take directly or add to your favorite beverage. Best when taken with a fat-containing meal. This D3 has MTC's(medium chain triglycerides)which is a plus anyway! With the liquid there's less the possibility of nasty additives.